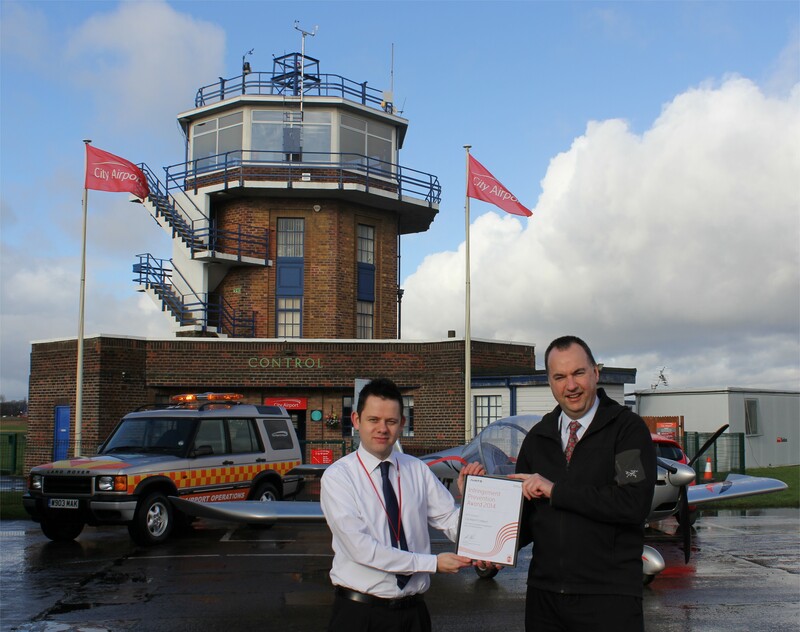 City Airport & Heliport and Mainair Flying School in Manchester are the latest recipients of the NATS Infringement Prevention Award thanks to their on-going efforts to cut pilot incursions into controlled airspace. The nomination was made by the NATS air traffic control team at Manchester Airport, which has been working closely with both since 2006. Both City Airport and Mainair Flying School have gone above and beyond to help their pilots avoid accidently entering controlled airspace, something that is a both a safety risk and can cause major disruption to commercial air traffic. City Airport’s operations team has run safety events for pilots and is working with NATS on ways to reduce the risk of airspace infringements in the future. Mainair Flying School offers its pilots briefings on the use of GPS equipment and navigation, while those that do infringe are offered extra training, with the lessons learnt then shared with other flying schools. 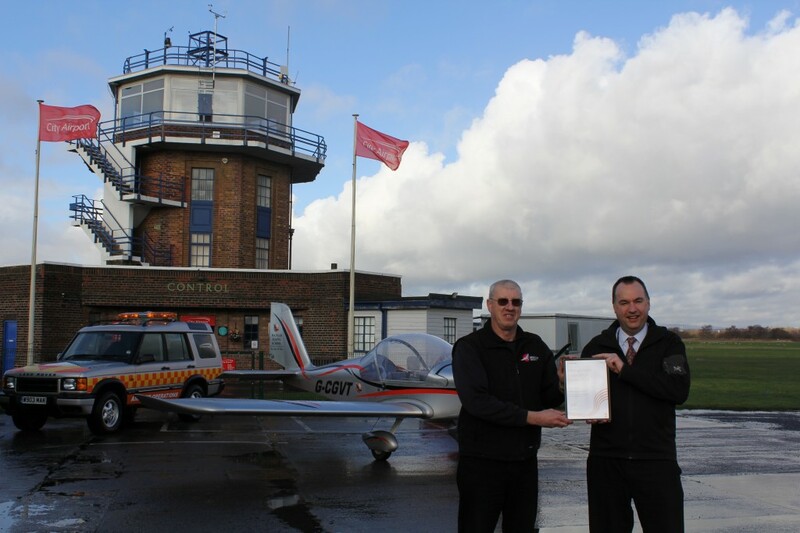 The airport and flying school have also collaborated to create a video of a staged infringement as a means of then highlighting best practice for pilots. Chris Copple with Kevin Edmunds. Jonathan Smith, NATS Infringements Lead, said: “There are a number of practical and low cost initiatives that can be introduced to minimise the risk of infringements, just as City Airport and Mainair Flying School have done. The NATS Infringement Award is open to anyone going the extra mile to prevent infringements. Information on how to nominate a club or school can be found on the NATS website at: www.nats.aero/news/infringement-prevention-award.